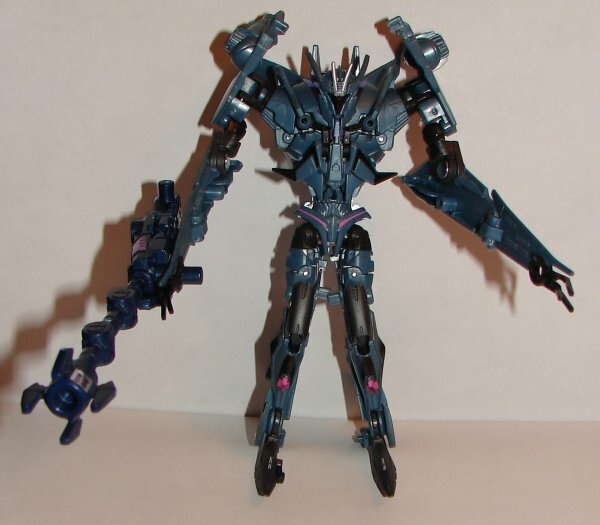 Weapon Mode: In weapon mode Zori is a very long barreled cannon. I really like this one, thought the multi section barrel is kind of hard to get straight. 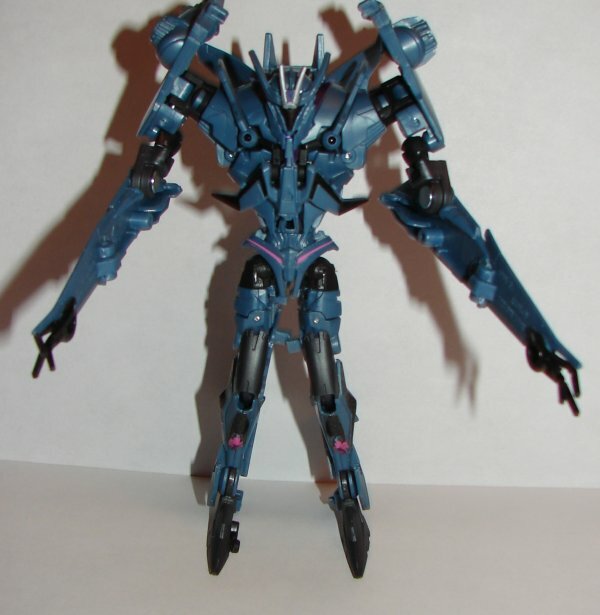 This is definitely my favorite of the Decepticon Arms Microns. 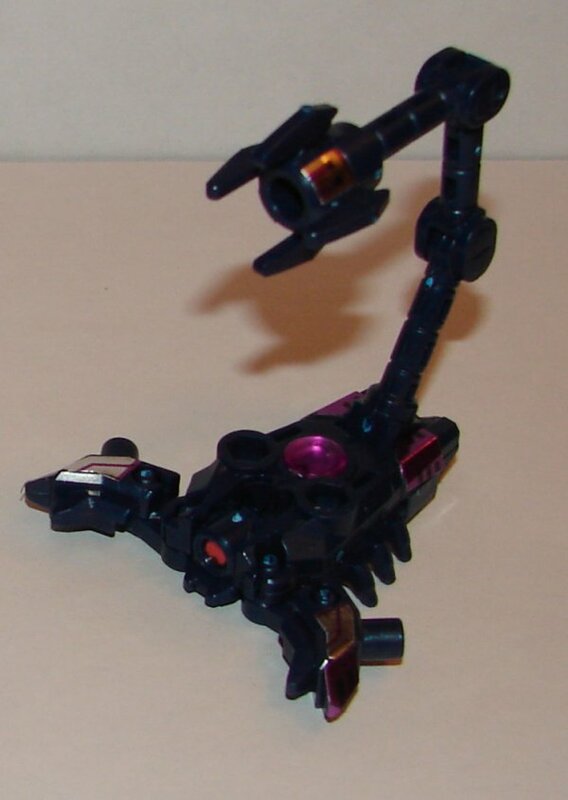 Beast Mode: Zori transforms into a Scorpion, which looks great. 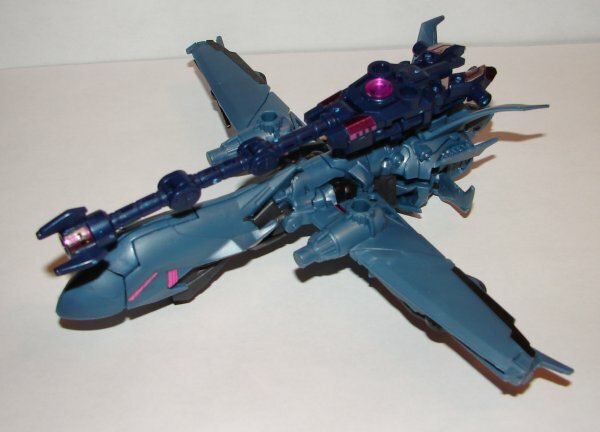 I didn’t notice this on the last series, but all the Decepticon Arms Microns, in addition to being animals, also have just one eye. 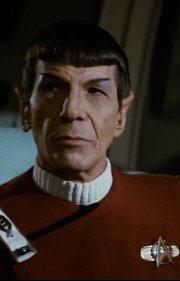 I’m not sure if there is any significance to the single eye or if it is explained anywhere. 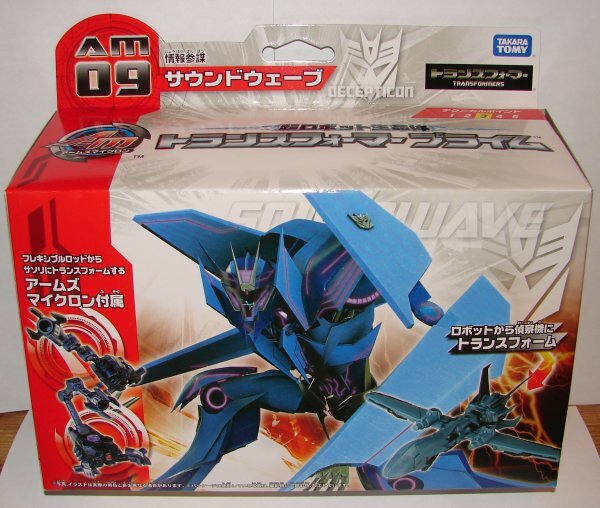 Vehicle Mode: In vehicle mode Soundwave is similar to an unmanned drone. 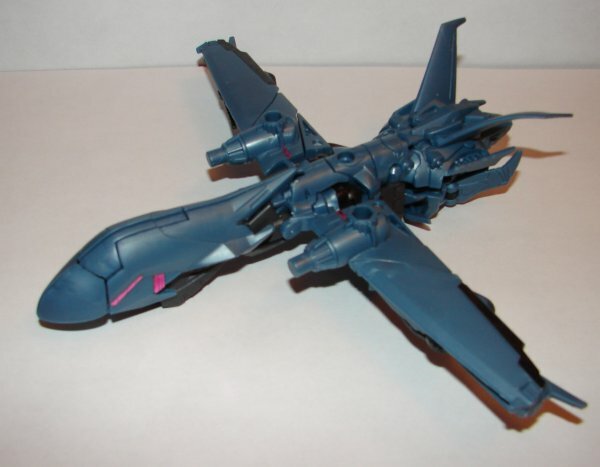 The main difference with the USA version is that they added ports on his wings to connect weapons. 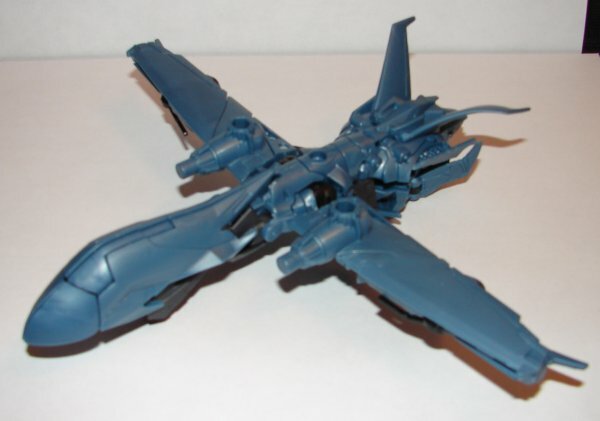 The main port for his weapon is an existing screw hole on top of the jet. The plastic on this toy is horrible. The nose of the jet is made with super soft plastic and the two halves never stay completely closed. 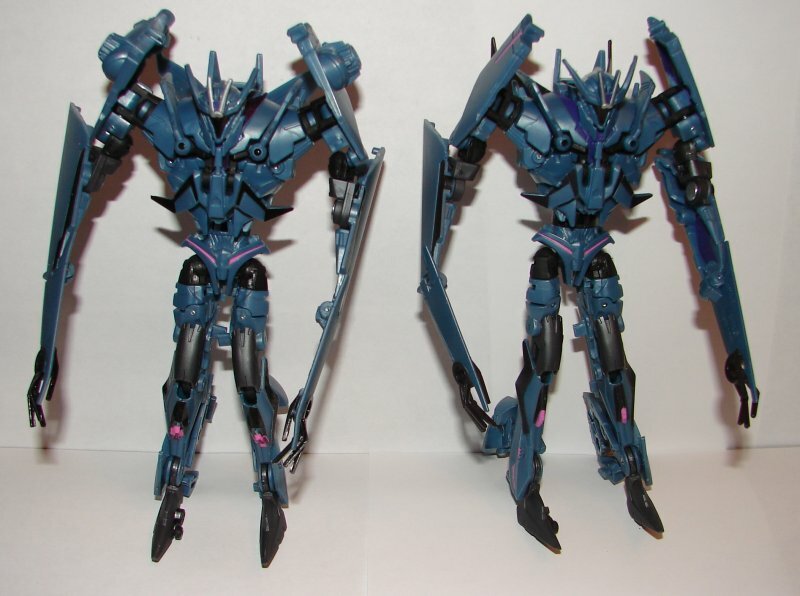 Robot Mode: In robot mode Soundwave’s forearms are made of the same cheap soft plastic that the jet nose is. 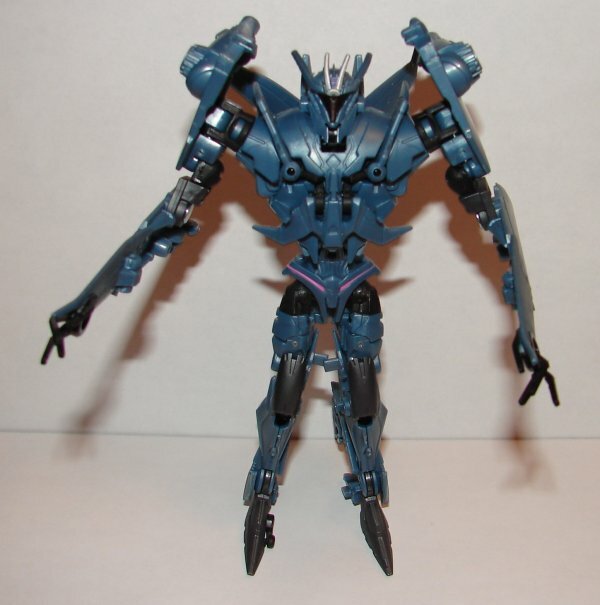 I still hate the silly looking long arms and horribly designed feet that make him hard to stand up. Some of the problem standing up is the soft plastic and some of it is design. The USA version stands up better if not well, but this version is deplorable. Comparison Pictures with Japanese (left) and USA (right). 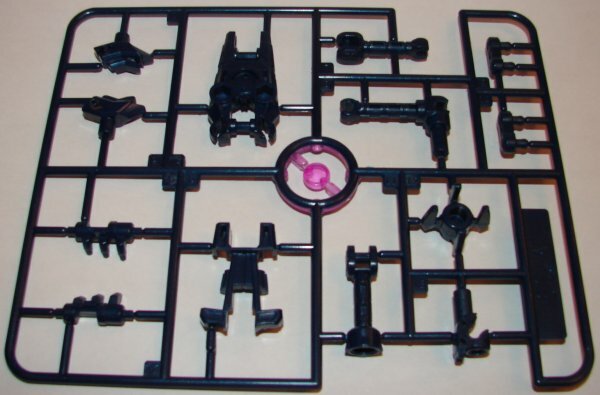 Overall: Unless you want the Arms Micron figure, don’t bother. The plastic is just so cheap. I have knockoffs with vastly superior plastic. 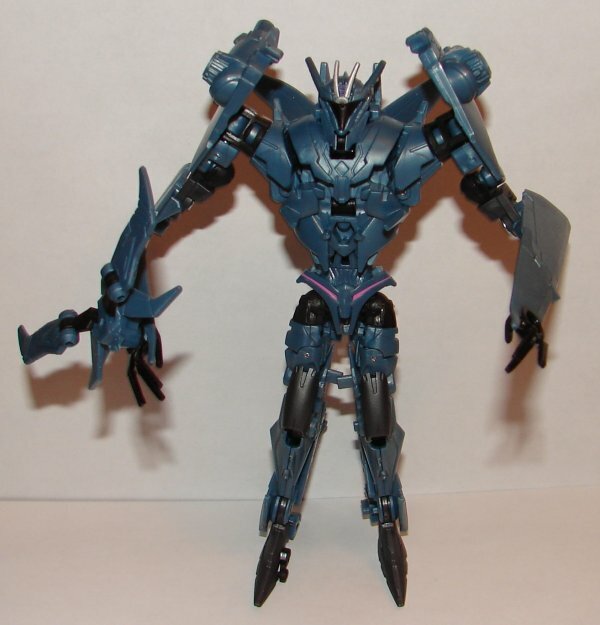 He does have the best Decepticon Arms Micron and the version that will be available separately is a different color. The Arms Micron is the only redeeming quality for this toy. 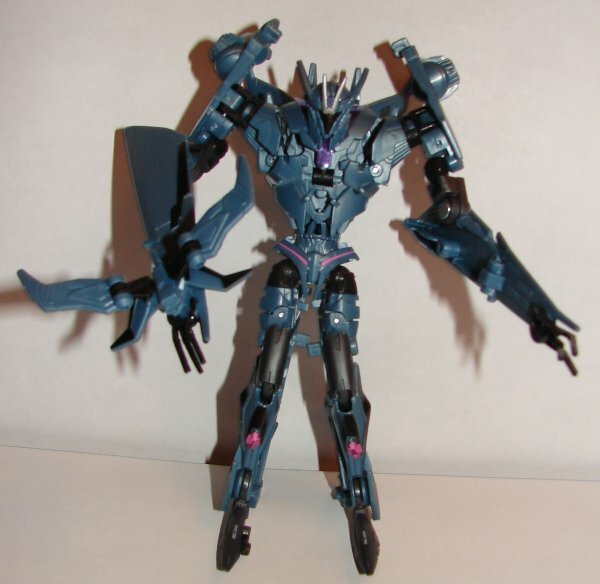 This entry was posted in Toy Reviews, Toys, Transformers and tagged Arms Micron, Soundwave, Toys, Transformers, Transformers: Prime, Zori. Bookmark the permalink.